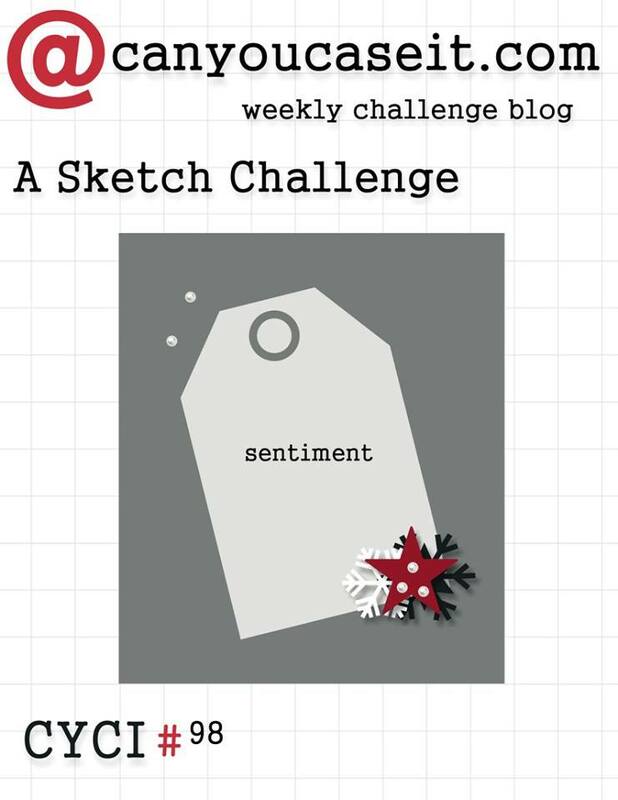 Welcome to the OSAT Thank You Blog Hop! Thanks for checking me out, and please continue on with the hop by clicking Next at the bottom of this post! I made a set of Thank You cards utilizing the Winter Wonderland Designer Series paper and a cute matching card box to gift this note card set to someone you love. I will be making this note card set and box at my Technique Club today. A complete supply list can be found at the bottom of this post. Here’s the cute card box. I continued the Designer Series paper through on the sides and back of the box. 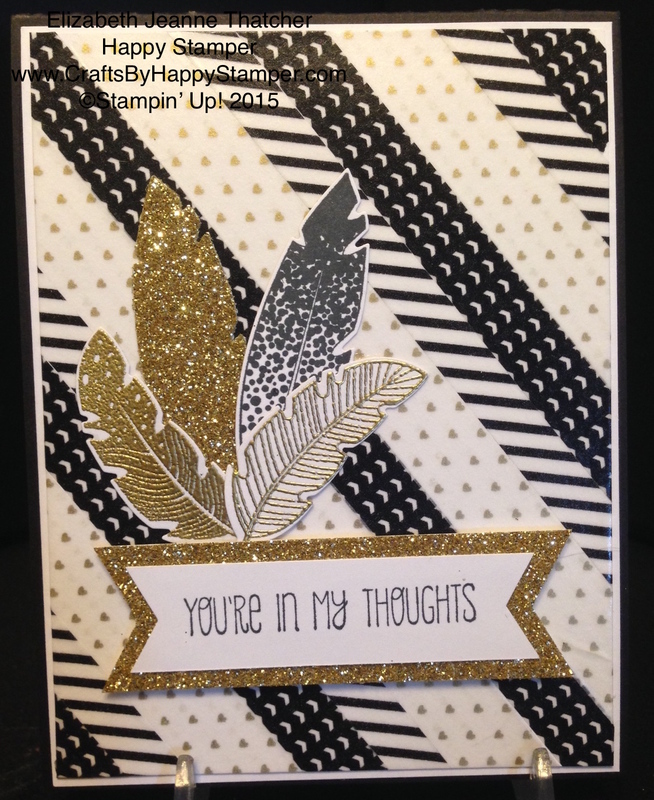 The color combination I used for all the cards and box was black, white, gold, and blackberry bliss. The first card I made utilizes some gold pearls. I just squished the regular pearls in the versa mark pad and added gold embossing powder and heated it. If I made this card again, I would move the greeting a little to the right so the butterfly wouldn’t cover it as much as it does. 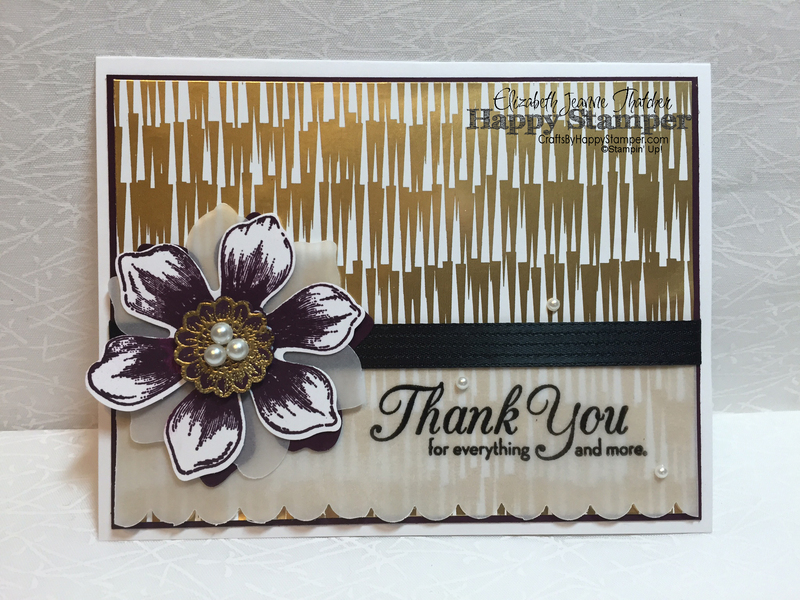 This easy and fun tag card uses the Endless Thanks stamp set and Beautiful Bunch flowers and punch. I love these simple little pearls and the way embossing looks on vellum. For my final card, I used the scallop edge from the cutie pie thinlits to give the vellum a scallop edge. The New Occasions and Sale-a-brations catalogs are out for demonstrators to preorder from. Catalogs are free to all of my customers, and if you’d like to join in the Pre-order fun, just click Join My Team. Don’t forget that the end of year clearance sale started today! Beautiful color combinations and designs! 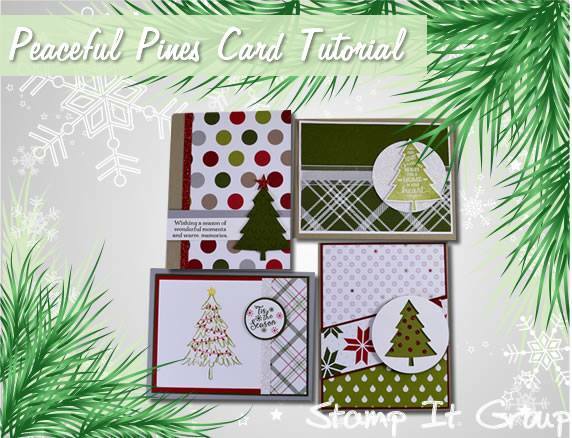 Love the way you used the Holiday paper for non-holiday cards! Great projects, Elizabeth! Gorgeous collection of cards and box Elizabeth! Totally loving what you did with Winter Wonderland. Your projects are so clean and classy looking’! LOVE!